Former Cabinet minister John Redwood said a no-deal Brexit "will work just fine" despite the "idiotic" warnings about potential shortages of food and medicines. On the other side of the Tory divide, pro-EU veteran Ken Clarke said Mrs May's deal - which he would be prepared to support - is "dying" and he would be "amazed" if the mood of MPs had changed over the Christmas break. But former Brexit minister Steve Baker rejected the proposals, saying they were a "tedious and desperate attempt to rescue an unsalvageable deal". The Daily Mail reported the prime minister is working on a "double lock" to put a time limit on the backstop. 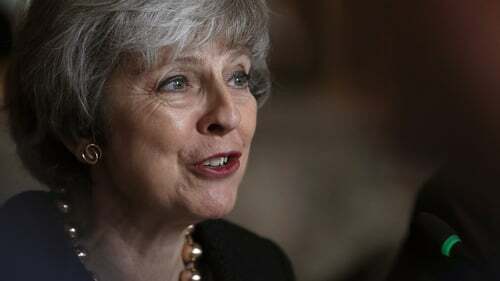 On Friday, Mrs May had a "friendly" call with European Commission president Jean-Claude Juncker and the pair are expected to keep in touch next week, fuelling speculation about efforts to win further concessions from Brussels ahead of the Commons vote, widely expected to be on January 15. As part of the no-deal planning, a major exercise will take place on Monday with up to 150 lorries testing out plans to use Manston airfield near Ramsgate as a mass "HGV holding facility" to alleviate congestion on the roads to the Channel ports.